OMG! 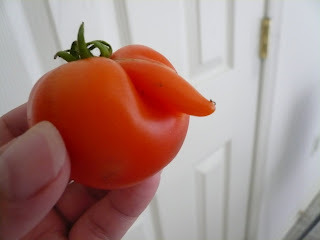 Gert, this deform tomatoe is really funny. I don't know if you are brave enough to eat it. But I am sure there must be some scientific reason why this happened. The rest of you tomatos do looks delicious. Zue, I don't think i want to eat the funny tomato ;) The little ones is really sweet now. So envy with your tomatoes plant. 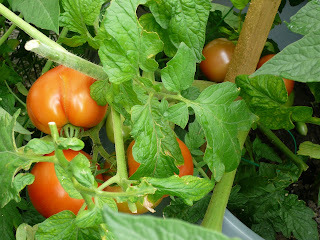 Last Sunday went to the nursery and bought a packet of tomatoes seed. Will try again this time see whether jadi or not. 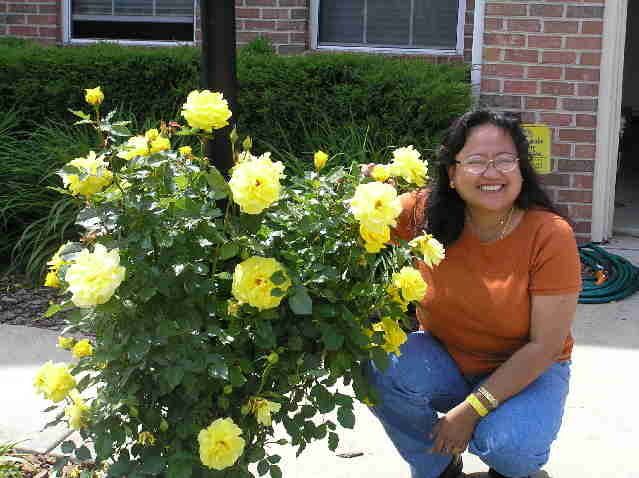 Sue, hope you are able to get some tomatoes plants from the seeds. Yeah, nothing beats eating your home grown tomatoes. 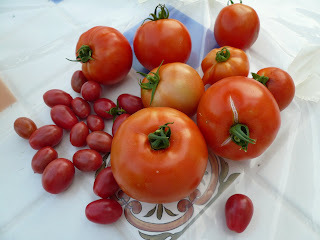 wow your harvest from the tomatoes is impressing! I have 2 cherise tomatoes but they are getting sicks with leaves falling and turning yellow. I gave them a treatment and I hope it works. Hi Bee, thanks for stopping by. 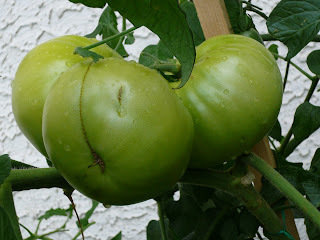 Tomatoes plant needs a lot of sun so make sure you plant it at a very sunny spot.